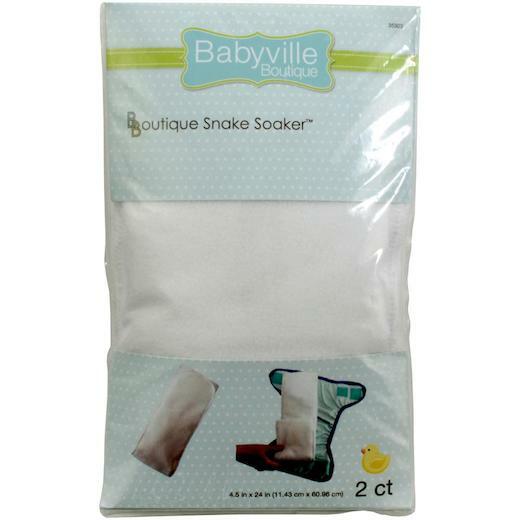 Babyville Boutique Rounded Snake Soakers are pads to add extra absorbency to the wet zones of a baby diaper. Each soaker contains five layers to help keep your baby's skin dry. Made of polyester and nylon. Care: machine wash warm, tumble dry, do not iron, do not dry-clean. This package contains two 24 x 4½ inch (60.9cm x 11.4cm) boutique snake soakers.